For the rest of the world, including the United States of America and Canada, £2.00 will be added. We aim to dispatch orders within 7 working days of receipt. We always have a good stock of yarns, threads and fabrics but there are occasions when part of your order may have to be dyed therefore you should allow 14 days to receive your order. Also during exhibitions, holiday periods, adverse weather conditions and illness there can be the occasional delay for which we apologise. 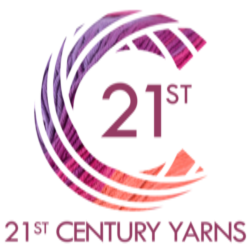 If you need your order urgently please contact us by email yarns21stcentury@aol.com or phone +44 (0)7850 616537 to find out the availability.